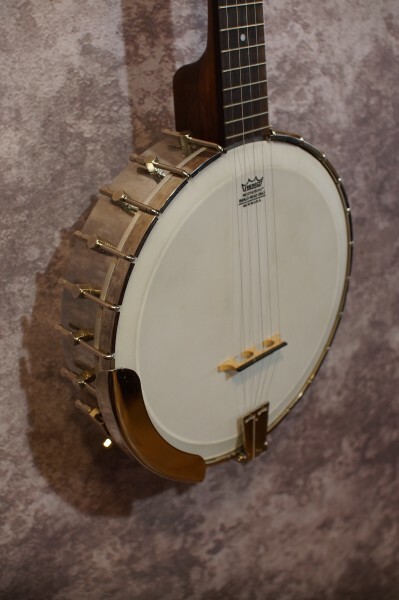 Very cool old banjo! 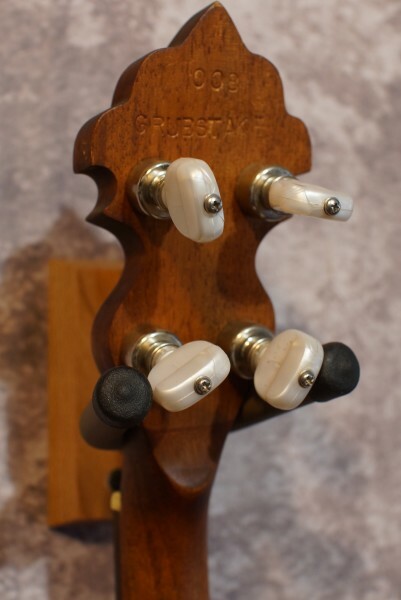 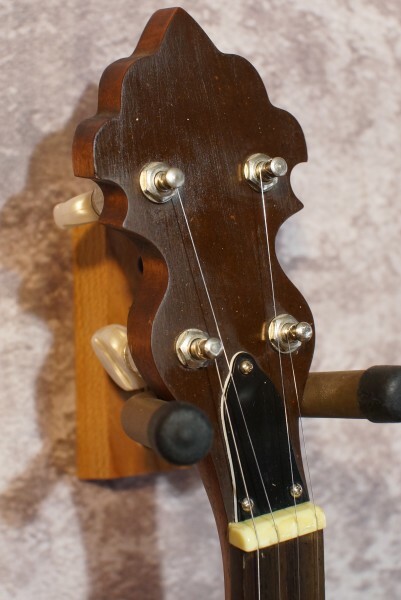 Grubstake was a budget line that the Ome banjo company briefly manufactured in the 70s in Colorado. 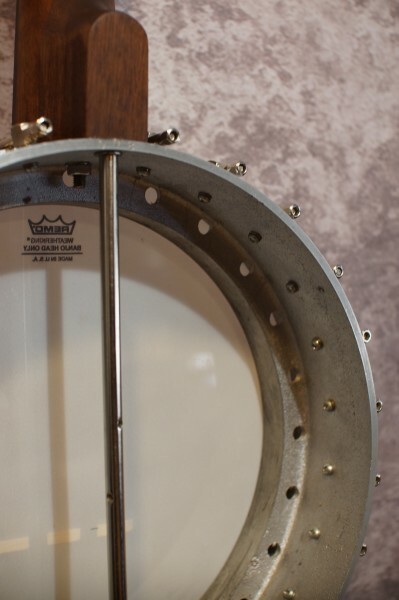 Very unique integrated tone ring and metal pot design. 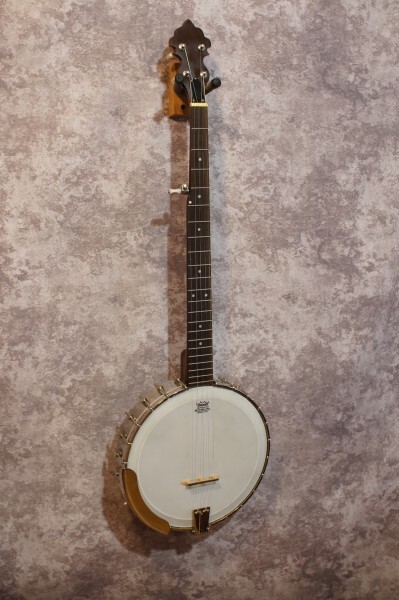 This banjo plays very well and sounds awesome. 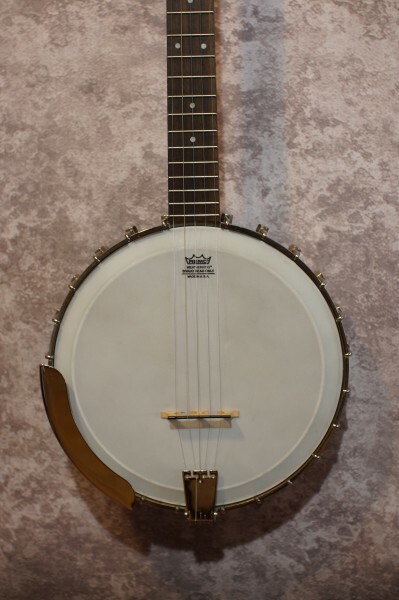 This would make a very cool, vintage alternative to the Chinese made models for someone in the market for an open back banjo in this price range.